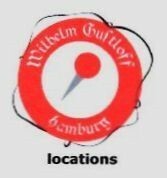 I would like to give credits to Mr. Riedel for designing the logo for the museum and to Ulli Restemeyer for assisting with the collection in many different ways. 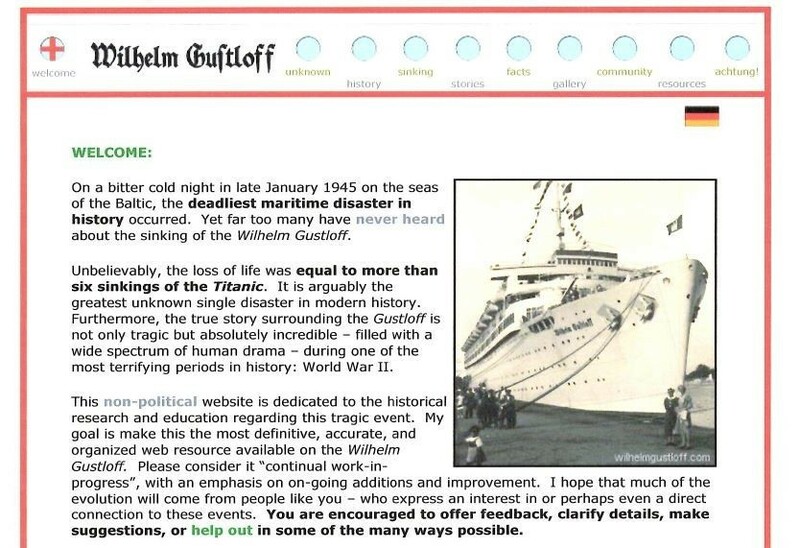 I owe a special debt of gratitude to Blohm + Voss for assisting me with images and information, and Ruta Sepetys for all of the assistance she has given me to help spread the Wilhelm Gustloff Museum's website. She has also been of extreme help comparing notes between ourselves about the disaster. To my translator, Werner Hinke - for without his help translating the old Suttlerin captions on photos and albums, I would never know half of what I do about the Wilhelm Gustloff. I am eternally in his debt. A special thanks to all of those who helped with information in the u-boat training albums and in all aspects of the site including Dr. Axel Niestle. Also, to Real World Pictures for allowing me to use clips from their trailer for the opening introduction. Finally, thank you to all of my contacts in Germany and Austria for constantly being on the watch for new items to add to the exhibits including Ingrid from Berlin, Birgit in Gifhorn, Gaby in Morbach, Olaf in Hüxstraße, and D. Falk of Berlin. *Please Note:​​ I cannot do contacts through the guestbook. If you would like to make an item donation from either of these ships, or have memorabilia you are looking to sell, please contact me through the address or email provided. With your efforts, the museum can help keep collectons intact and artifacts displayed to keep her story alive. Two new items can now be purchased through another historical film site in Germany related to the Wilhelm Gustloff. 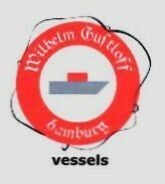 The ambitious amateur filmmakers traveled to Hamburg by train, a tour of the Port of Hamburg, various events and impressions on board the "Wilhelm Gustloff", as well as idyllic fjord landscapes and the old Hanseatic city of Bergen in high-quality black and white set and color film footage. Follow us on a unique journey through time with the former KdF flagship. A unique, comprehensive booklet with many unpublished photos and historical documents (12 pages)! No. 242 ISBN 978-3-941538-69-6 EAN 4042609101227. Region 0 PAL, Aspect ratio: 4:3 Sound: Dolby Digital 2.0 Disc Type: DVD 5Laufzeit: documentary film 33 minutes plus an exclusive interview with author and Gustloff surviving Schon 40 minutes. Published in 2011, this book features several of the museum photographs of the Wilhelm Gustloff and Robert Ley from their times as accommodation ships during WWII. I have used this book countless times for photographic references when I am trying to identify an unknown KdF ship in a photograph. A must for anyone interested in Germany's Strength through Joy fleet in the 1930s & 40s. Published in April of 2013, the G5 version of this Wilhelm Gustloff collection postcard has been chosen to be the cover for the book. The second ​​​​book in a series of four that tells the story of the Wilhelm Gustloff from the beginning. The M.S. Wilhelm Gustloff - Maiden Voyage is the definitive book chronicling the official maiden voyage of one of the most infamous liners in history. In addition, the book features a translated 41 page first hand account of the voyage written by Elisabeth Dietrich. Features 103 photographs in 142 pages. 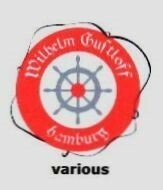 ​​This book is a hard copy of the maiden voyage section of the Wilhelm Gustloff Museum website. 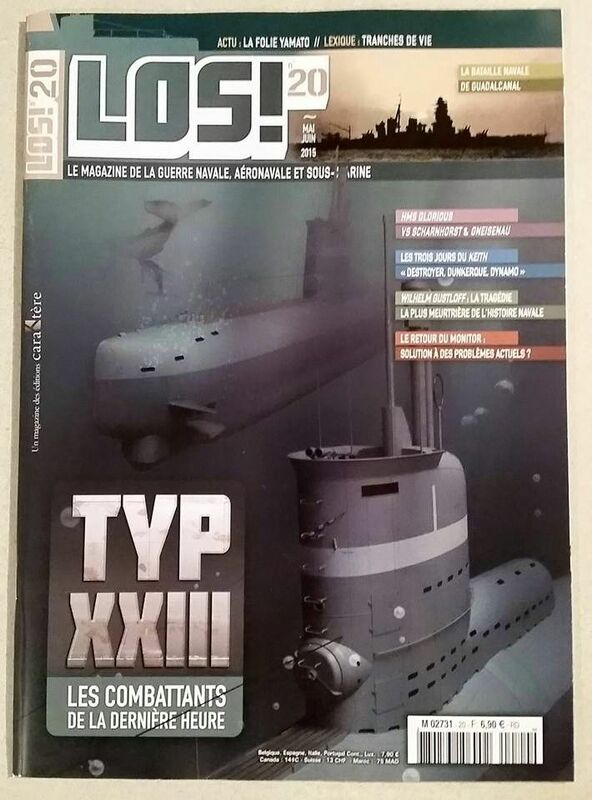 Second edition. Exhibition: Organization Todt and Forced Labour in Norway during WWII. ​Digital copies of museum primary sources lent to the Norwegian Museum of Science and Technology for their exhibition on the Organization Todt and Forced Labour in Norway during World War II. It will show the use of technology in propaganda during WWII and the effects of these new technological developments and large scale German architectural projects on Norway. The total duration of the exhibition will be 15 months. A preliminary opening of the first room of the exhibition: May 8th – Sept. 2015. Then the official opening of the complete exhibition was Sept. 2015 – July 2016. The book series is titled “En verden i krig” (The World at War), and the image is for book number 9, titled “Det 3. Riges undergang” (“The Downfall of the Third Reich”). 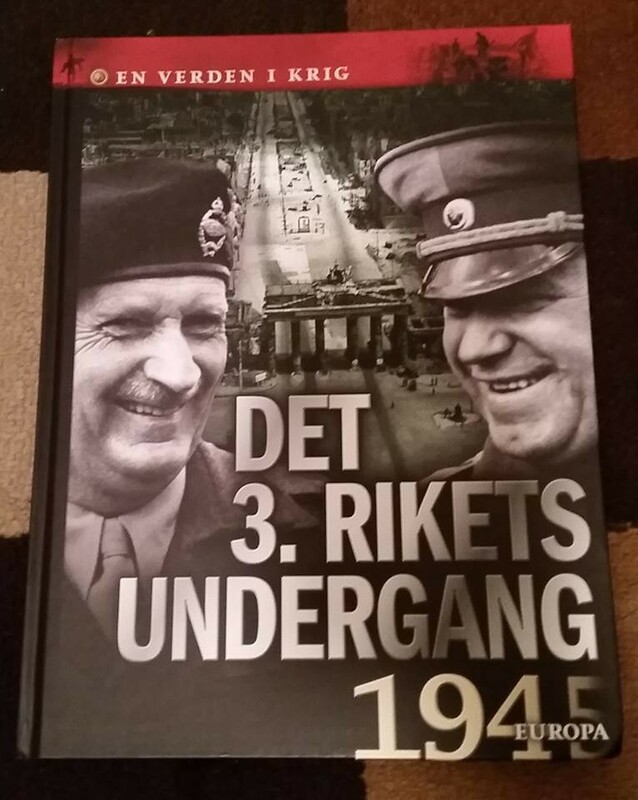 The book series consists of 12 hardcover books, chronicling World War II, and are published in Denmark, Sweden, Norway, Finland and Holland/Belgium. Total print run is 30,000. I got the Norwegian version since the Gustloff sailed there during her voyages. I assisted them by providing information and an image of my E.S. Robert Ley life jacket from 1939. ​ Back in July 2015, I was contacted by Justin Pierret, producer for Original Productions, out in California about their joint project with the History Channel. They were filming a documentary on the treasure of the RMS Republic from 1909. In 2007, I built a 1:150 scale model to go along with some of the wreck artifacts I had. Martin Bayerle (owner of the wreck itself and shown on the right) knew I built a scale model of the ocean liner and put their producer in contact with me about purchasing it to use on the set of the show. I sold the model to them in August and after a few months filming at sea, the 8 episode mini-series Billion Dollar Wreck began airing February 8th, 2016. The model can be seen in the background when Martin Bayerle is talking about the wreck, although it is blurry. I was promised a credit at the end of the series under set design, but they never followed through on this. Still, it is an honor to have the best model I ever built appear on television. 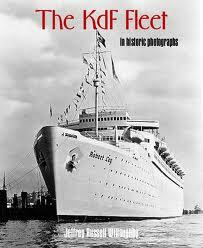 The first ​​​​book in a series of four that tells the story of the Wilhelm Gustloff from the beginning. The M.S. 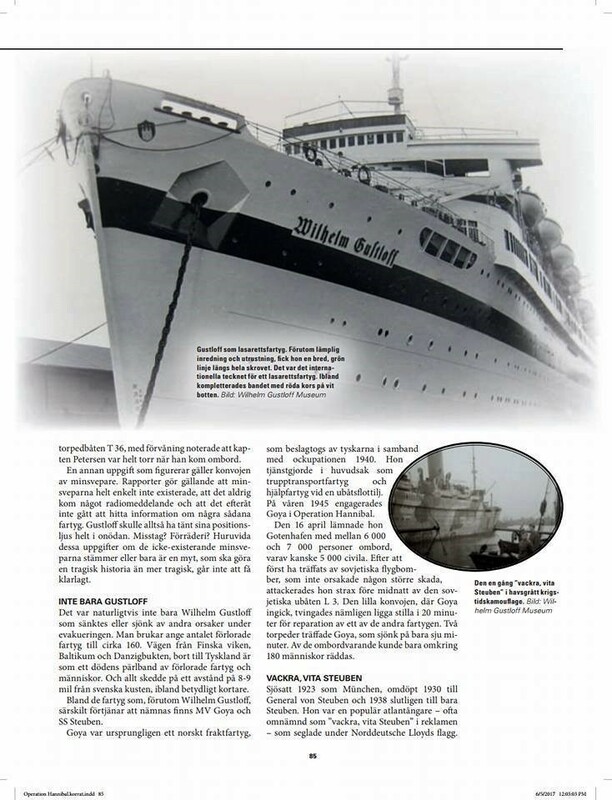 Wilhelm Gustloff - Construction to Maiden Voyage is the definitive book chronicling the ship's beginnings while giving a detailed deck by deck look at one of the most little-known liners in history. In addition, the book follows the Wilhelm Gustloff on her six pre-maiden voyages which include a rescue at sea, a visit by Hitler, and her stint as a polling station in England. Features 237 photographs in 163 pages. ​​Second Edition, $29.99 Retail. This book is a hard copy of the first 6 pages of the museum website. ​of one of the most little-known liners in history. ​pages. ​​Second Edition, $29.99 Retail. ​and pages of the museum website. 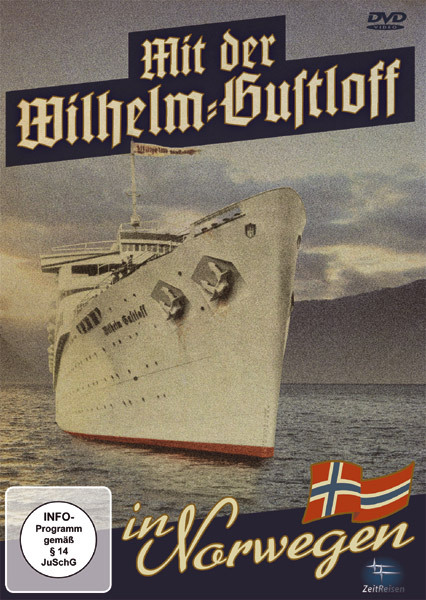 The fourth and final book in the series on the Wilhelm Gustloff focuses on her time as a hospital ship, accommodation liner for the 2 U.L.D. and her sinking. This story is primarily told through her photographs, letters, survivor accounts, and original artifacts from on board and salvaged from her wreck. This book is a hard copy of the Lazarettschiff 'D', Accommodation Ship, and Sinking & Wreck pages of the WGM website. Many of the photos are in a clearer order in this book than on the museum site. Features 347 photographs in 245 pages. Second Edition, $41.99 Retail (Due to number of pages). ​ 9,343. To put such a number into perspective you can equate it to 130 school buses, 27 Boeing 777s, or the RMS Titanic fully loaded almost 3 times over. This is the estimated number of soldiers and wounded, family members and friends that lost their lives in just over one hour. History has not been kind to the story of the Wilhelm Gustloff. Even today in 2017, as I skim through online forums I silently read quotes such as, “Who cares about Nazis, they got what they deserved,” or “Many more important ships sank with the loss of thousands, this one doesn’t matter!” Others spewed more racist remarks towards those on the liner’s final voyage, which have no place here to be repeated. Hitler definitely had control over Germany, but just because those citizens were threatened with prison time for not saluting him or death for speaking against him, does it really make them Nazis? For most, the war was in a far off land and through the early 1940s, nothing was considered wrong until the Red Army began their advance. For the sake of this story, however, my desire is to look beyond the politics. Unfortunately, this Pandora's box still plays a role that needs to be addressed. ​ There are maritime museums around the world that are hesitant about exhibiting relics from this era because of what they stood for. The thought crosses my mind each time I attend a Chesapeake Bay model ship show with my Wilhelm Gustloff and Robert Ley models. Visitors see a table with skipjacks and deadrises, schooners and tugboats, then the Wilhelm Gustloff with her KdF and DAF flags. Will people get the wrong impression? If we wait too long before history becomes socially acceptable to display, it may be too late. Now is the time to take advantage of the knowledge that is out there from survivors and those who sailed on her before the clock runs out. A second issue at hand is the lack of available material for any sort of public exhibit. Over the years, I have listened to stories of unique photographs, souvenirs, and artifacts surface after their previous owner had passed away. For decades, their stories unable to be told because they were hidden in a shoebox in the back of a closet. Personal collectors vied for the chance to own a new piece, the winner inevitably placing it back in another closet shoebox where it would remain for another several years until the process repeated itself. While this is a perfectly acceptable practice, at what point does the shoebox collection cause more harm than good? Historians like myself wait with baited breath for news of a previously unknown find to help add to the Wilhelm Gustloff legacy. This was the frustration I first encountered and decided something needed to be done. 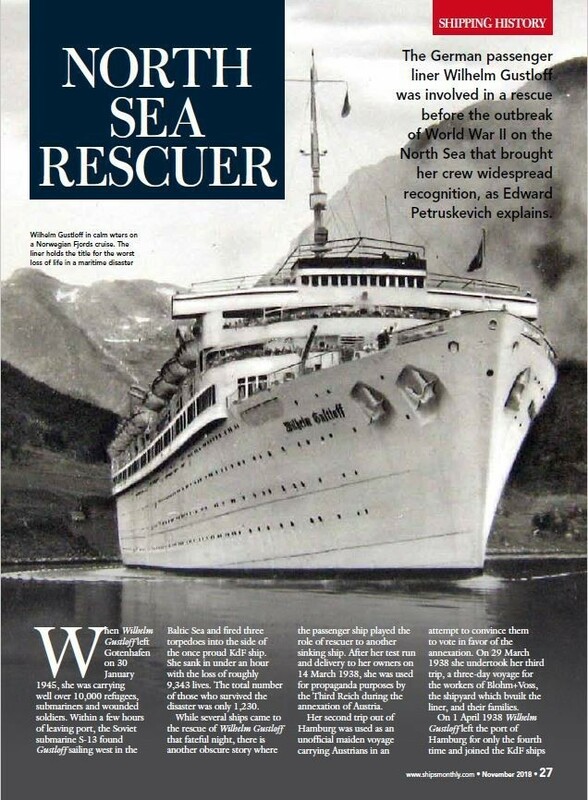 ​ B​ack in 2007 when I came across and purchased my first Wilhelm Gustloff speisekarte, I began researching the ship because I wanted to know everything about her story. The largest maritime disaster in history, surely there would be a plethora of information and artifacts on it. Up to that time, the wonderful work done by Dave Krawczyk with the Wilhelm Gustloff website online was the primary source of information on the disaster. There was almost nothing in English about the Gustloff aside from the fact she was a passenger ship turned accommodation ship and sank with almost 10,000 souls on board when torpedoed scattered across the internet. Sure, the stories of her rescuing the Pegaway crew to her time in Gotenhafen were known, but what physical pieces were left over in a decimated World War II Germany? This is what I sought to discover. The more I was able to learn about this infamous liner, the more captivated I became and decided to turn away from ships such as the Lusitania, Andrea Doria, and Titanic to focus my research solely on her. I never imagined that 10 years later I would be running the largest online museum in the world on the Wilhelm Gustloff, as well as having published a four book series on her life and death. ​ January 30th, 2017. 72 years ago after finishing my last book, the Wilhelm Gustloff’s life may have ended, but her story endures. After 2 years and 583 pages later, the most accurate account of her has been completed to document the full history of a ship that many never knew existed. Throughout those pages, you learned not only of the once proud liner, but of the people who sailed on her. Calling the ship “it” soon turns into “she” as a mass of steel and wood seemingly turns into a humanized character. 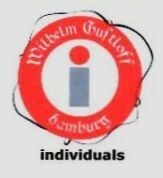 Eventually, those on board give her a more affectionate name, the Willi G, and for some, her loss equates to losing a family member. While the story ends here, it is not the end for her legacy. Nazism is not something that should be glorified, but aspects of it need to be remembered so it is not repeated. So much of her story was buried in the past because of what the Gustloff stood for, that we did not learn all we could from it once it occurred. Now in the 21st century, historians and survivors are working together to tell her complete tale once more. The majority of accounts on her sinking have been published in several other books and periodicals that I would not try to replicate. They do the disaster justice, giving details from the vantage point of officers and civilians that survived the sinking. My story on her life and death focuses on known facts with the stories of her artifacts woven around them. As time progresses, those who have survived the sinking will pass on. The divers who worked on the wreck before it became off limits are continuing to tell her story through what they recovered. Since the 1990s, there are those lured to the wreck to desecrate it in the name of profit. Vandals recklessly cut away at the hull, removing what they can. Mike Boring and Ulli Restemeyer have told me as their dives progressed, more things disappeared off the wreck. Even as late as 2016, I was told some of her Gothic lettering looks to have been removed. This type of vandalism for profit by those who have no interest in what the ship represents is sickening. The Wilhelm Gustloff is a war grave, but do I believe it should be left entirely at peace…. not necessarily. Diver Jerzy Janczukowicz said on the recovery of artifacts, “I don't consider what I do to be illegal, or disrespectful to the dead,” and I have to agree when it is done properly. In decades to come, the Gustloff will turn into a pile of rust on the sea floor, collapsing further into itself and destroying anything that once could have been saved. All that will remain are items that cannot be dissolved by the Baltic Sea – sinks and tiles, glass bottles and items made of brass. If something in the wreck could be carefully removed or simply retrieved for future generations to learn from before it is destroyed, why not save it in the memory of those who perished? I believe the best way we can remember the disaster and the Wilhelm Gustloff herself is to tell her story through artifacts and what they represent. The story of the Titanic will be told for centuries, largely in part because of the artifacts recovered and showcased around the world. 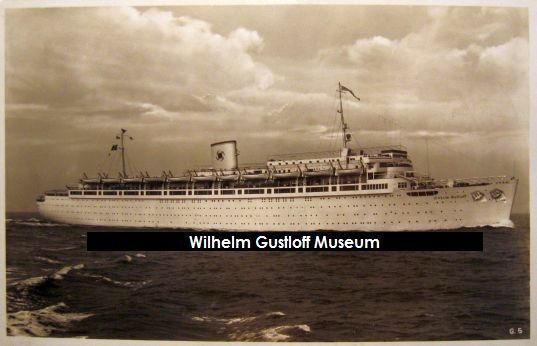 Few can say they know about the Wilhelm Gustloff through an exhibit. The only artifacts recovered that are currently on display are two of her portholes and ship’s bell. The remainder of artifacts retrieved from the wreck are either in the hands of the divers that recovered them or private collection. 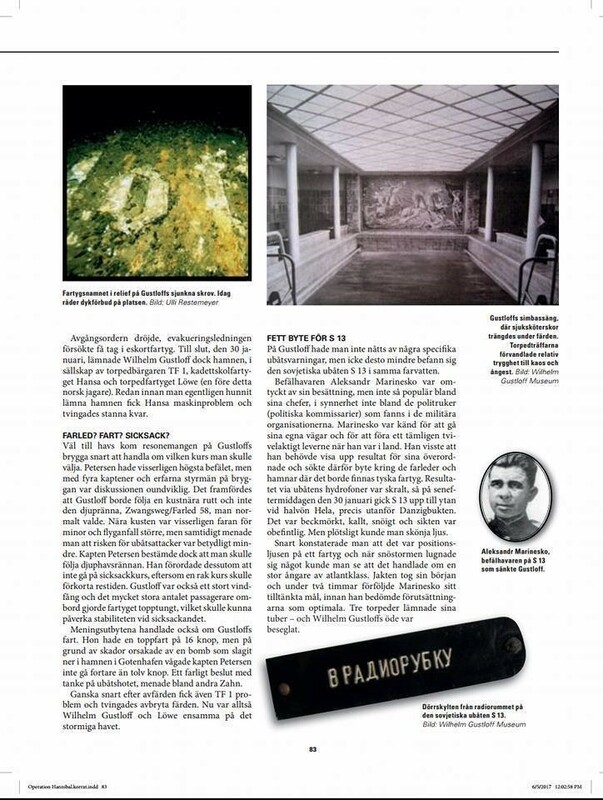 Until last year, it wasn’t known that a section of the Gustloff’s Neptune swimming pool mosaic was recovered until the diver who retrieved it contacted me when he wanted it to have a better home. While the other artifacts from the wreck can tell a limited story, this piece to me is the single most important artifact from the wreck. It is so well documented, with no doubt to where it came from and its story from passenger liner to wreck is extremely moving. Part of the most beautiful room on the Wilhelm Gustloff played witness to happy travelers posing next to it through 373 women trapped around the destruction the second torpedo brought to the pool. It survived the sinking only to be shattered when the wreck was destroyed for navigational hazards or other reasons and fell out of her hull until a lone diver happened upon it and raised it to the surface. Witnessing the piece first hand while hearing its story is something that would bring even the most hardened person to tears. ​The conclusion of my series will not end my work with the Wilhelm Gustloff. For years now, I have been contacting maritime museums in an effort to showcase her artifacts in a rotating exhibit. Unfortunately, red tape, liability issues, and Third Reich related fears often abate my efforts. I will continue to seek out artifacts from the ship and push to work with other authors on their mission to being her story to light. First and foremost, I am a historian on the Wilhelm Gustloff. 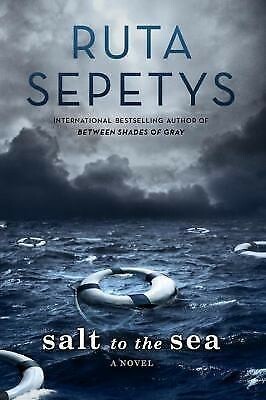 I may not be as eloquent of a writer as those like my friend Ruta Sepetys, yet I hope I have captivated you with the story of a ship as much as it has done to me. The past four books are a historical time line leading up to an event that occurred on a freezing night on the Baltic Sea in 1945. Looking beyond politics and race, gender and affluence, it is a story about people. People so unimaginably exhausted and hysterically seeking a way to escape death in one of the darkest chapters of our history. It is also a story about the Wilhelm Gustloff. The ship that so many looked to as a vessel of hope, but delivered them to the perilous fate they were trying so desperately to avoid. 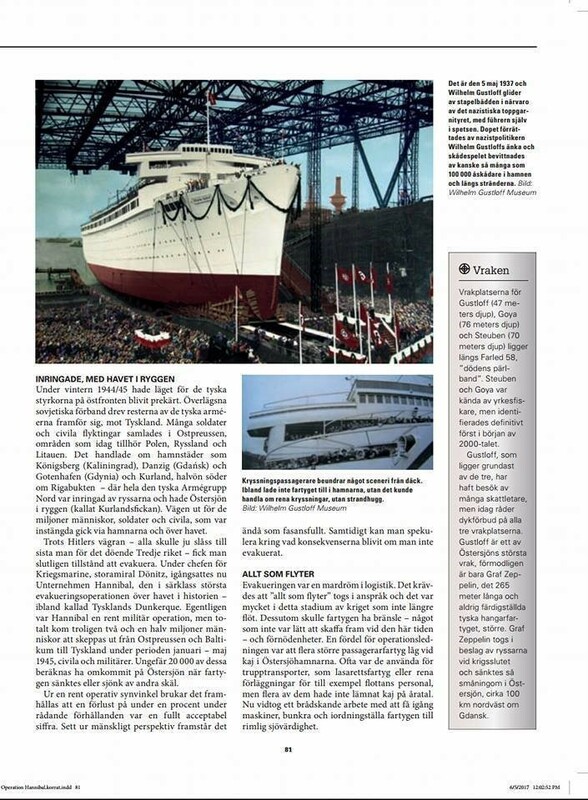 ​​ Freelance writer Staffan Hassby contacted me a while back for photographs of the Wilhelm Gustloff for an article he was writing. 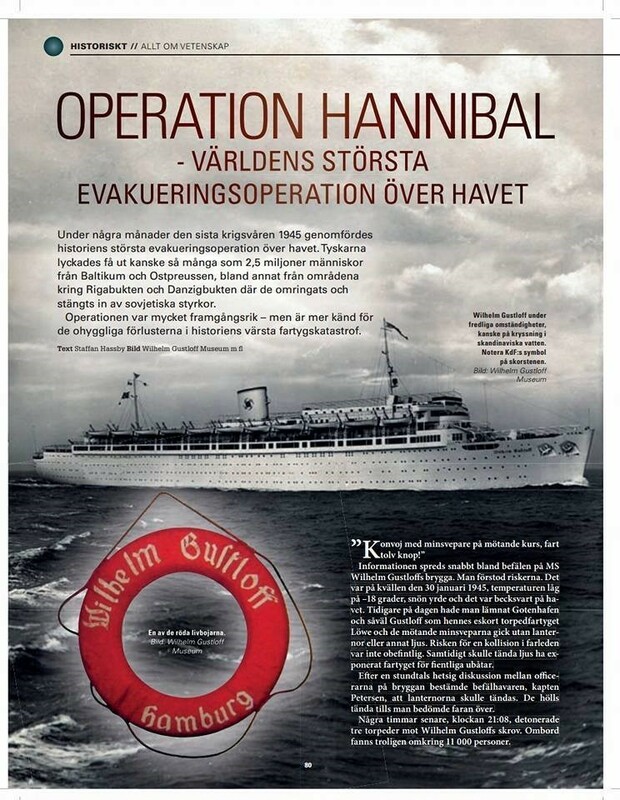 Attached here are images of the published article which features several of the museum photos in the Swedish magazine. 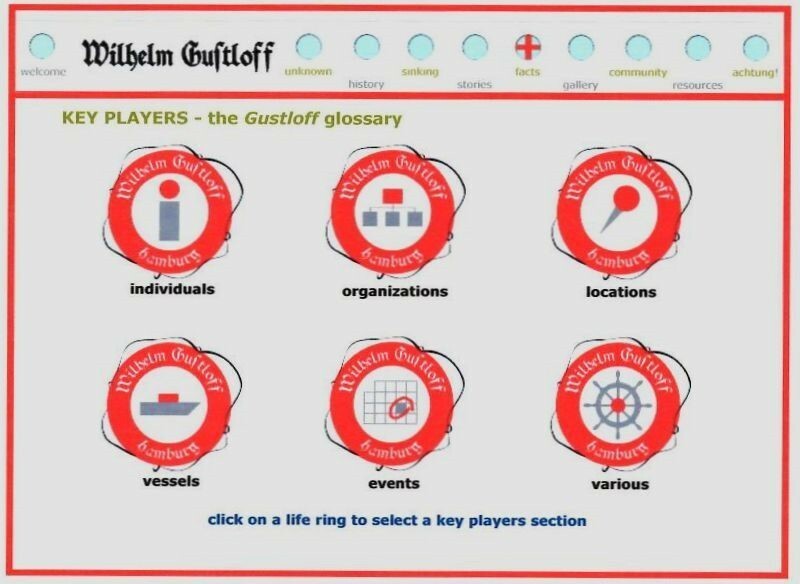 "This site is so well presented and really helps tell the story of the Wilhelm Gustloff. 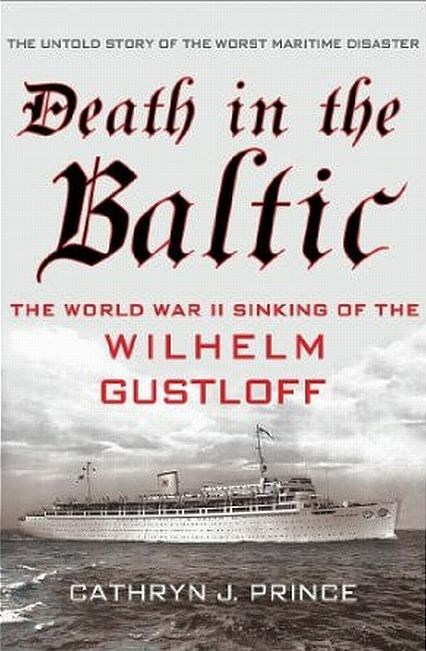 "- Cathryn Prince, Author: Death in the Baltic: The World War II Sinking of the Wilhelm Gustloff.​"
​​"A tremendous online collection of information, documentation, and artifacts. The museum and curator provided indispensable assistance in my research for Salt to the Sea. 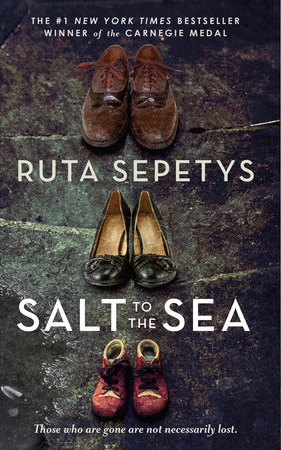 "- Ruta Sepetys, Author: Salt to the Sea. ​​​​​"Mr. Petruskevich clearly has a deep passion for his subject and I continue to be impressed with his sense of style in the layout and the discipline he uses to be economical with his treasures. By sticking carefully to a plan he can ensure continued interest in his project as he drip feeds gems to admirers of maritime history. She may have been a Nazi ship, but she was still a thing of beauty and in many ways the National Socialist aspect of her life and death does not detract from her aesthetic qualities or her human story. If you are into maritime history or the minutiae of the Nazi state or maybe you are just seeking inspiration for your own personal masterpiece, do yourself a favor and support this project. You will not be disappointed. "- Mark Barnes, War History Online on The M.S. Wilhelm Gustloff - Construction to Maiden Voyage. ​"
​​"Anyone interested in ships and maritime history will find much to divert them and future volumes promise further insight into the life of a ship best known for the manner of her death. The book also acts as a flag waver for the kind of project the author and his friends have undertaken. It’s all good stuff and history produced with skill, enthusiasm and not a little love is the best kind. If you fancy something different, look no further. "- Mark Barnes, War History Online on The M.S. Wilhelm Gustloff - Maiden Voyage. ​​"Eddie Petruskevich is the sort of author I admire. He knows precisely what he wants to achieve and does not compromise. These books should be marked out as a standard-bearer for self-publishers. We all know not every book will be brilliant, but in this case the author has proven himself to be quite competent and totally attuned to what he is doing. The books read well and the mass of archive stuff is attractive and fascinating." - Mark Barnes, War History Online on The M.S. 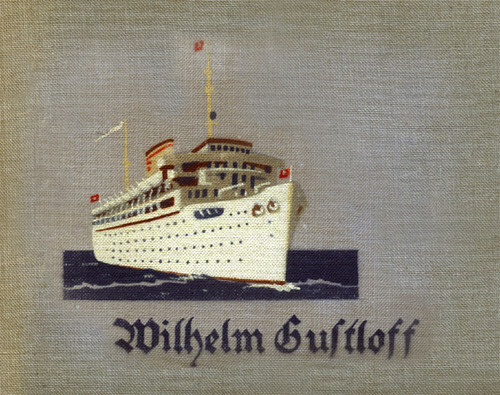 Wilhelm Gustloff - Voyages. 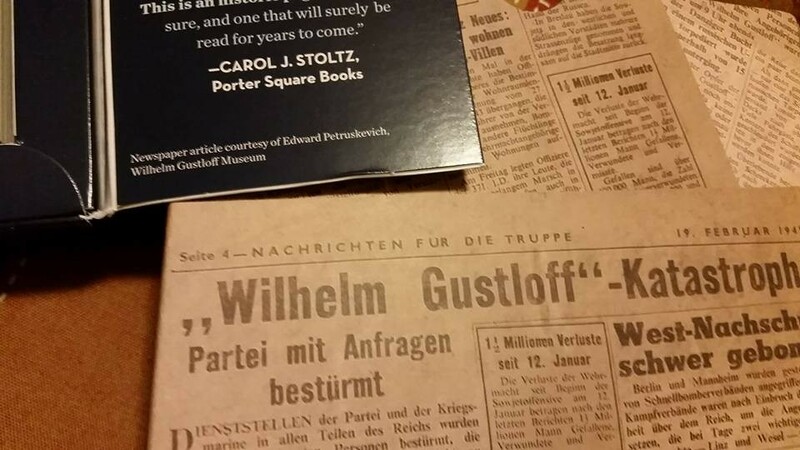 ​​"The Wilhelm Gustloff was a lovely ship and the author relates her story and shares a mass of ephemera from her with great passion and care. His account of the post war period when the wreck was used and abused is particularly poignant and I continue to admire his determination and enthusiasm to see the project through. Perhaps a big name publisher might have shoehorned the material from what ended up as four books into a single volume. I think something would have been lost had they done so. By keeping his hand on the wheel the author has ensured his vision has been seen through from first to last. This is his baby." - Mark Barnes, War History Online on The M.S. Wilhelm Gustloff - World War II to Sinking. Edward Petruskevich has been a leading historian on the Wilhelm Gustloff since 2007 and the curator of the Wilhelm Gustloff Museum collection since its inception in 2010. Edward has collaboratively worked with authors around the world and his museum artifacts have been used in books, magazines, and museums in 16 different countries. In 2013, he attended the Council of American Maritime Museum's National Conference in Beaufort, NC as a guest under curator Paul Fontenoy. 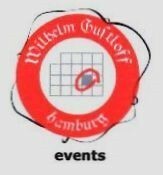 The lecture presented in front of 45 museum presidents, directors, and educators was aimed at the Wilhelm Gustloff and discussed the possibility of a rotating exhibit with other national maritime museums. ​ Consisting of 36 pages, 40 photo albums, over 3,400 photographs, 309 speisekarten, and over 250 artifacts, he has made the Wilhelm Gustloff Museum the largest public collection of the Wilhelm Gustloff and Robert Ley artifacts in the world. In 2017, he was able to merge www.wilhelmgustloff.com with the museum, obtaining an additional 200 pages of information on the liner and her disaster. 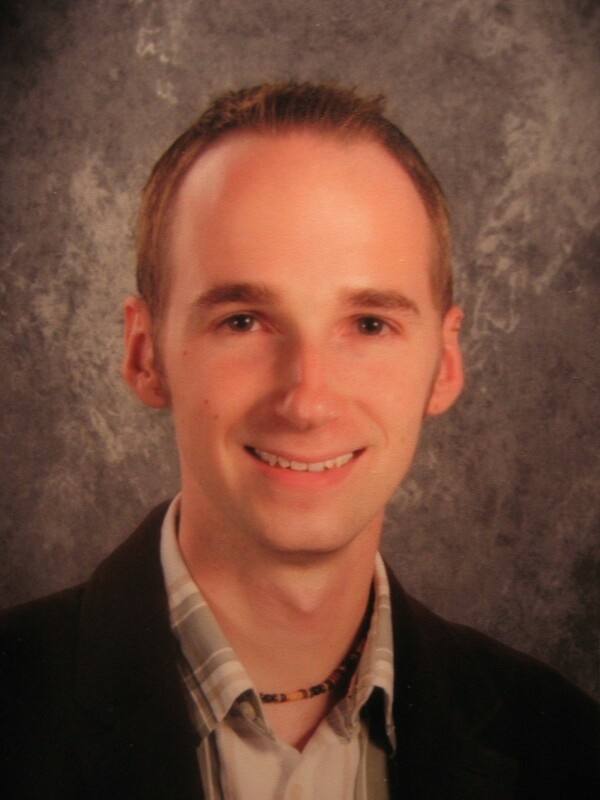 In his spare time, he enjoys model ship building, traveling (most recently to Germany, Austria, Switzerland, and Liechtenstein), and working as an educator. A native of Pennsylvania, he currently resides with his family in Hampton, Virginia. 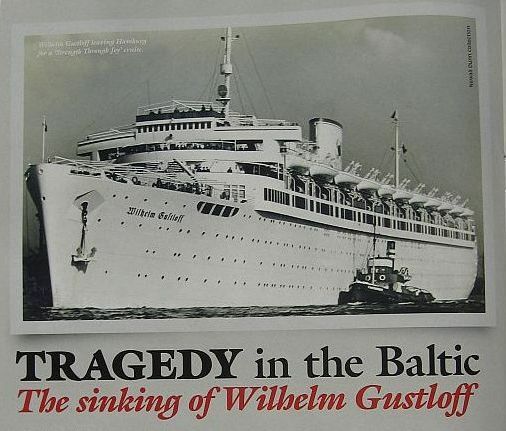 The Sinking of the Wilhelm Gustloff - 6,000 or 10,000 lives lost? Of everything that I have researched, nothing caused more disagreement than what her death toll truly was. Many say the Wilhelm Gustloff could not have possibly carried the near 11,000 it did and gave the unfortunate award for worst maritime disaster to the Goya. A freighter that had roughly 6,700 people on board when she was torpedoed and sank in four minutes in the same shipping lanes where the Gustloff and Steuben sank. There were only 183 survivors. Many will then point to survivor estimates and Louis Reese's paperwork from early publications - saying as they were there, the numbers were automatically correct. Do I believe the original 6,600 on board, 1,252 survivors are correct? No. Do I believe the new estimate of 10,582 on board, 9,343 dead, 1,239 survivors? Yes. The old numbers were given to be true up until the early 1980s, when new evidence and research began to appear regarding the disaster. Even Heinz Schön agreed the new numbers were accurate based on what he had researched. These were then published in his newer books as fact changing with evidence. Another issue with the old numbers is that they had such a broad range in articles published just after the disaster - there is no way to know which was factual. Goya - 479 feet long, 57 feet wide - 6,700 on board during her sinking. General von Steuben - 551 feet long, 65 feet wide - 5,200 on board during her sinking. Hansa - 502 feet long, 66 feet wide. 7,000 aboard the day after the sinking of the Wilhelm Gustloff. Hamburg - 634 feet long, 72.5 feet wide - Around 10,000 on board during March 5th, 1945 voyage. Deutschland - 645 feet long, 72 feet wide - 12,000 aboard on 1/30/45, 11,000 in March, 1945. Robert Ley - 667 feet long, 78.6 feet wide - During her evacuation voyage from Pillau to Gotenhafen on January 25th, 1945, she was carrying 20,000 inhabitants of Ostpreussen! Cap Arcona - 675 feet long, 84 feet wide - 13,000 aboard on 1/30/45. Around 9,000 on board during March 30th, 1945 voyage to Copenhagen. ​Many I spoke to want to discredit the new number which appeared in the Discovery Channel’s documentary Unsolved History: Wilhelm Gustloff, World’s Deadliest Sea Disaster. Using computer simulation for how passengers would’ve reacted in the sinking combined with the ship’s deck plans and layout, the end result gave investigators a final number of 1,230 survivors and 9,343 dead. I wanted to see myself if such a number was possible onboard the Wilhelm Gustloff. Second, I looked at her detailed deck plans and used what we knew about the size of her halls and lounges, capacity for dining rooms and cabins. I took this number and doubled the capacity of what I thought a reasonable number would be for people crammed in those rooms. If her spaces had double the people they were intended for, including crew quarters, staircases, etc, I came up with the possibility of 9,619 would have been able to fit on the ship that night. This number does not include anyone standing outside in the bad weather or within her enclosed lower promenade. If I kept these numbers the same for her public spaces but tripled the amount of people in her cabins rather than double, the number increased to 11,079 that could’ve been on the ship that night. ​In my opinion, those that have said the ship couldn’t have possibly carried over 10,000 people were wrong. Not only was it possible, but I only doubled her capacity to get 9,619. Her two dining rooms were capable of holding nearly 400 people each. Without tables and chairs, 1,600 could have been fit into both rooms on January 30th. If those refugees were packed in to standing room only, the numbers would only increase. It is not the first time a number this high was given. 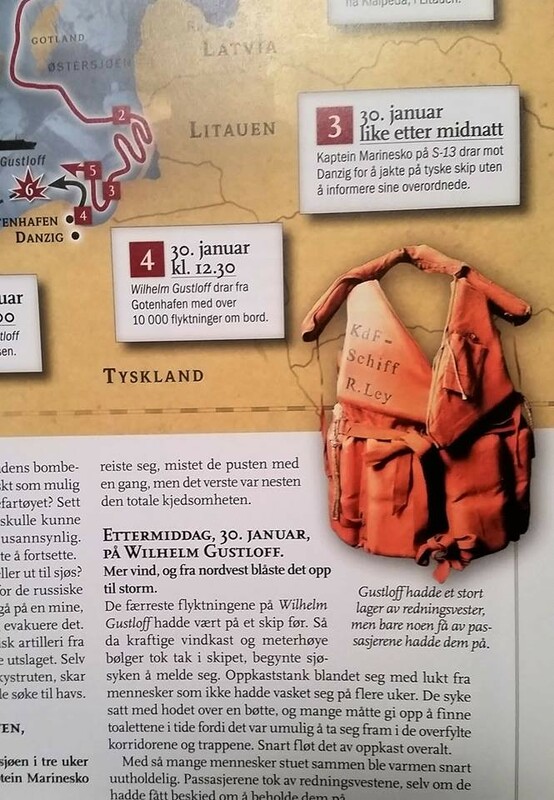 February 19th, 1945, 20 days after the sinking, the British paper Nachrichten für die Truppe revised their original story and wrote that the dead could have numbered from 10,200 to 11,200. A total of 10,582 seems completely accurate and reasonable based on my research. Based on the numbers, it would not surprise me if she was carrying closer to 12,000 that day. We will never know the true number of those who went down on the Wilhelm Gustloff. All we can do is continue to remember the sinking and those who survived. For the nameless who perished, we can pass her story down through generations so their so the memory of the tragedy does not die as they did. Over the past 10 years, there are still items from the Wilhelm Gustloff and Robert Ley that I know are out there - I just have not had the opportunity to purchase them yet. While I am always looking for any items from these ships, including items I already have, there are a few specific items I hope my visitors may be able to help me find. If you have any of these items or know where I can purchase one, please contact me via email. Thank you for your help! 1 - Kraft durch Freude (KdF) armband for tour guide leader aboard the Wilhelm Gustloff. 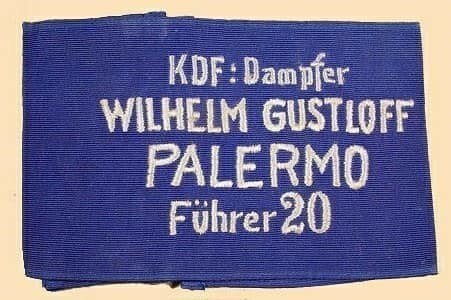 Blue armband embroidered "KdF Dampfer, Wilhelm Gustloff, (Palmero or Naples), Fuhrer 20 or other number. 2 - General admission yellow launch invitation for May 5th, 1937. 3 - DAF flag variation pin for the Wilhelm Gustloff. 4 - Pre-construction postcard with an artist rendering of what the Wilhelm Gustloff will look like completed. 5 - Ticket booklet and menus / speisekarten from her pre-maiden voyages and final voyage. 6 - Official photograph book from Blohm + Voss with nearly 90 photographs of her construction. 7 - Any items that have provenance as coming off the ship - china, furniture, wreck artifacts. 1 - Die Deutsche Technik book from 1939 featuring the Robert Ley. The Third Reich in 100 Objects. 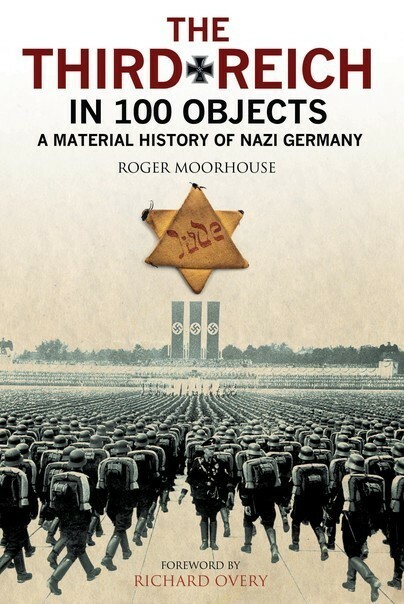 ​Another wonderful book written by Roger Moorehouse on various artifacts of the Third Reich. He found the Wilhelm Gustloff nautical flag bracelet to be a very beautiful piece and decided to add it into his book as object #45. A wonderful read for those interested in the history of Nazi Germany! Released late 2017. 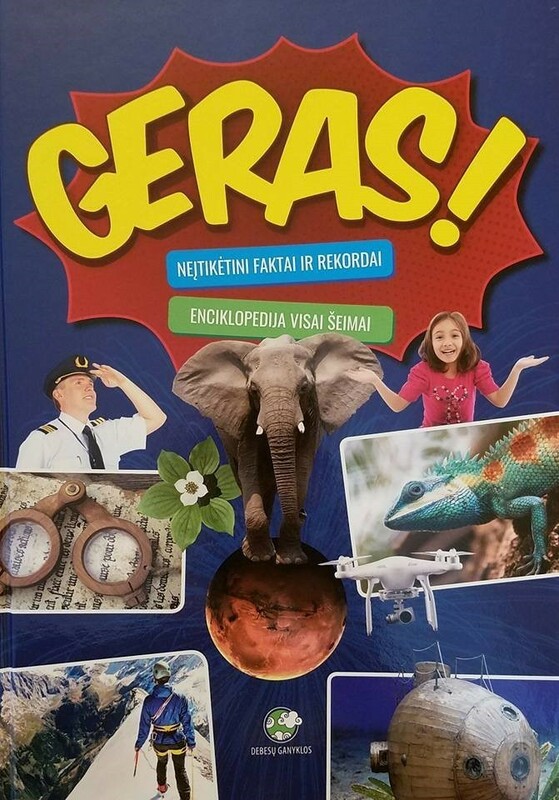 Children's Encyclopedia book - Geras! 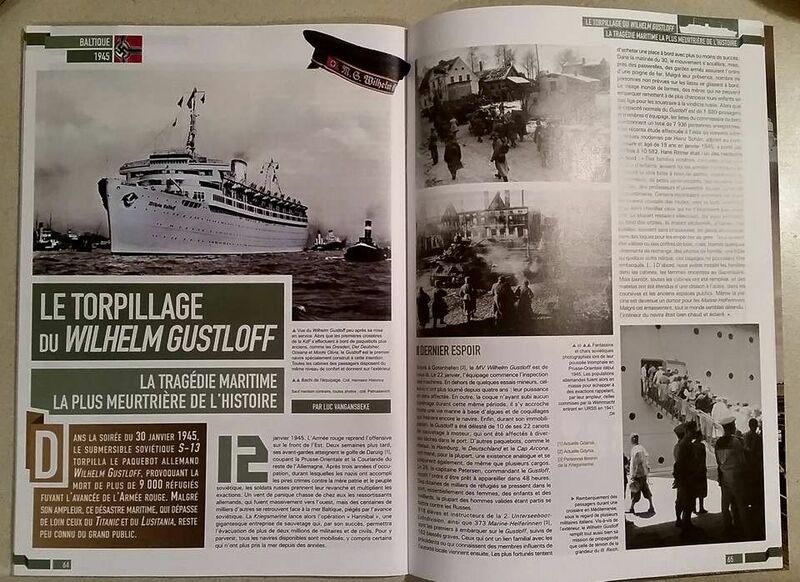 - on interesting facts including a photo and fact on the Wilhelm Gustloff through the Lithuanian publishing house "Terra Publica". Worked with Kristina Rimkute, the project manager. Over the years, I have ordered numerous items from the Wilhelm Gustloff and Robert Ley from Germany. While most have arrived safely, many arrive in customs at the ISC Distribution Centers in New York City only to be lost - or more likely stolen - by those working there. I watch on the USPS tracking website how they spend 30 days in NYC before disappearing and I never receive them. If they were lost, I would imagine at some point they would be forwarded to the museum. The amount of items I have lost has grown so much, I have decided to post what photos I still have of these items in the hopes that if anyone comes across them, they will be returned. Many of these items are one-off photographs that are hard to miss, while some are items that were produced in mass in the late 1930s. The first two photographs are of items I have had no luck with. I have only ever some across these two souvenir spoons from the Wilhelm Gustloff, I managed to order both, only to have both stolen. I ordered these as a curiosity, since I am not 100% sure they are authentic pieces - perhaps post-war made or for the regular German market. The first one I ordered in 2012 I ended up being scammed on some money before the seller finally shipped it. All that arrived was an empty padded envelope that the seller apparently didn't seal and it was stolen. I ended up having to get the German police involved and only ever recovered about half my money. The second I ordered in 2017 and it has been "stuck" in the New York Distribution Center since November 23rd, 2017. After a lengthy battle with eBay and Paypal, I was able to get my money returned on this one. ​ Released in January 2018, this book through Abdo Publishing focuses on the Wilhelm Gustloff as part of a series on historic ships for the classroom. I very much enjoyed working with the author and had some well rounded discussions with him. "The idea (of the book) is to give them some background, a compilation of basic facts about a subject, get them excited, then point the way so they can go discover more on their own. Naturally, the WG Museum is among my most highly recommended places for kids to visit. They're going to love it!" After several emails back and forth, Mr. Capek recommended the museum website to be prominent within the book and students would be directed here if they wanted to learn more about the disaster. Schiffskatastrophe auf der Ostsee - Die Torpedierung der Gustloff. ​​ Released April 2018. Archiv Verlag GmbH, a publishing company from Braunschweig, Germany specializes in producing facsimiles of historical documents. For their loose-leaf edition “Zweiter Weltkrieg in Dokumenten” (Documents of World War II) they published a small collection of documents concerning the sinking of the Wilhelm Gustloff in 1945. Among the documents they reproduced is my Käthe Kraus ausweis from the final voyage of the Wilhelm Gustloff. This is a wonderfully done project and Richard Neubert generously sent me 4 free copies! 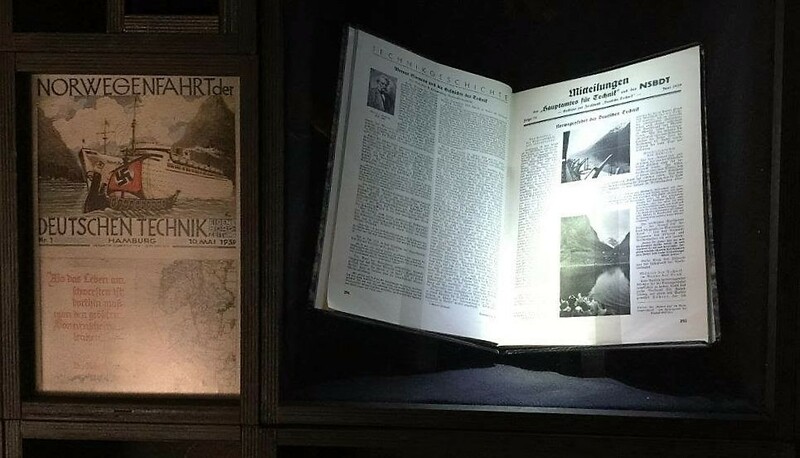 They primarily sell historical documents in Germany and Austria and this project has a limited run of no more than 400 produced. Unfortunately, the book's publisher Abdo was not so keen on utilizing the Wilhelm Gustloff Museum for an educational book about the Wilhelm Gustloff. Information was pulled and cited from the museum website, but unfortunately, there is no mention of it aside from the small footnotes in the back. What puzzles me more about this educational book is that under the online resources page, the only links shown are to three short articles. A perfect place for the Wilhelm Gustloff Museum link? Additionally, the publisher ask you to contact either the National Holocaust Museum or National World War II Museum (which focuses on the American side) for more information. ​Unfortunately, both of these institutions have little to no knowledge or displays dealing with the Wilhelm Gustloff. A missed opportunity by Abdo for anyone who reads this book and wants to learn more about the ship. The Model Boat Show returns for its 6th year in 2018! Open to the public, it features model builders from throughout the region, model making demonstrations, and kids' activities. Each year, I have a display of my 1:100 Wilhelm Gustloff and 1:200 Robert Ley model ships, as well as artifacts and memorabilia from both liners. Supported by a grant from the Talbot County Arts Council. Located at the Oxford Community Center, Oxford, Maryland. In years past, I have also attended the St. Michael's Maritime Museum Model Ship Show with my RMS Republic and Lego RMS Titanic models. ​One year, both made the front page the following morning. Featuring an article I wrote on the Wilhelm Gustloff rescuing the crew of the Pegaway using several of the primary sources in my collection. Also features several of the museum's photographs.